For some time I have been wanting to move the large sign that was over the vaisselier in the sitting room and hang it on this wall in the dining room, but I knew the sign was quite heavy and could hurt my husband's back taking it down. He said it wouldn't be a problem and grabbed the ladder to take it down. It actually wasn't heavy like it was when we hung it. The sign was made when I ordered it from Ethan Allen several years ago and was very heavy when we hung it, but it had dried out over the years making it much lighter. So after taking it down and repairing nail holes where it hung it now proudly hangs in the dining room. Of course while I'm sharing a couple of updates I had add a bit of fall. 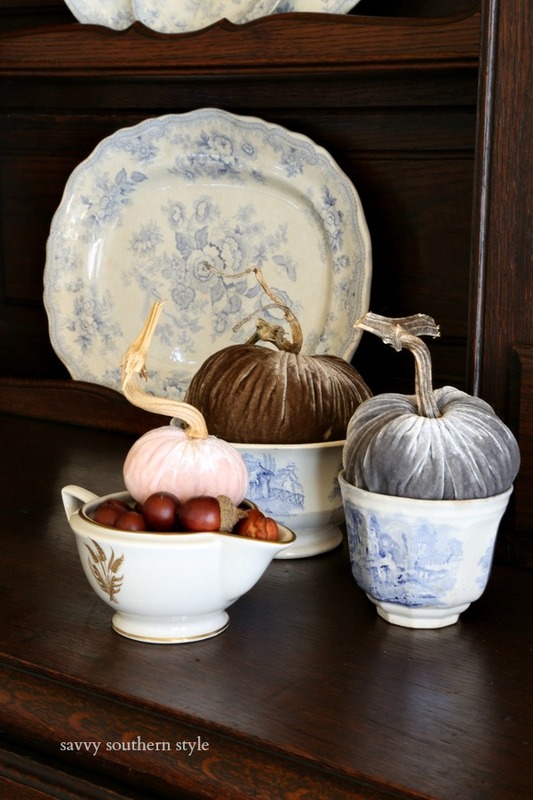 I simply filled my vintage dough bowl with some fall items like gourds, dried seed pods, pears, and more from my stash. I love the addition of these warm fall colors. I also added three velvet pumpkins I had stored. I just placed them in these bowls and creamer. The other change are the head chairs that have changed again. I have had the hardest time finding chairs that fit correctly at the end of the table where while someone is sitting in the chair others can still walk behind it on this wall. Finally this one is the perfect fit. These are the same fabric as the chairs on each side of the hutch that I just painted. Soon I'll show you what we hung in place of the horse sign in the sitting room or you can find it on my instagram. My mom is finally being discharged from the hospital today. It's been a long three weeks. Glad to hear about your Mom. 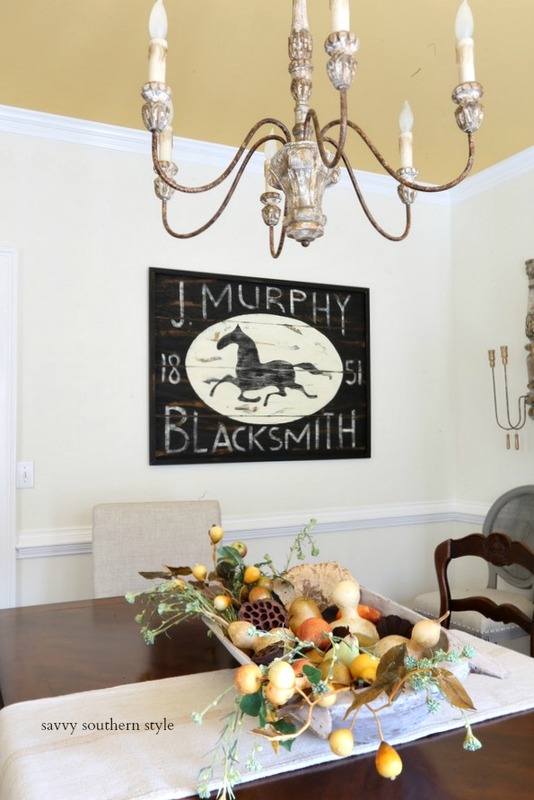 Love the sign hanging in the dining room and all of your fall touches. 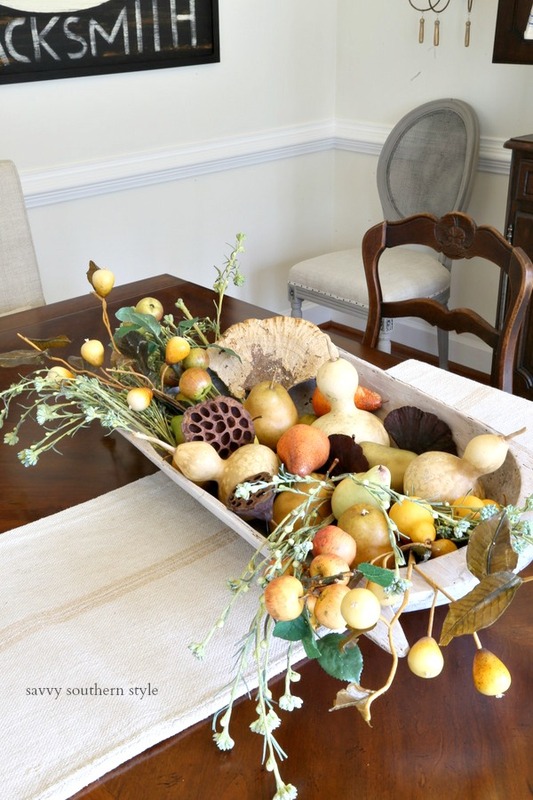 I am getting ready to do some fall decorating soon. Looks like we are going to have a rainy week ahead. I am glad to hear your mom is also coming home.It is very hard when a loved one is in the hospital. 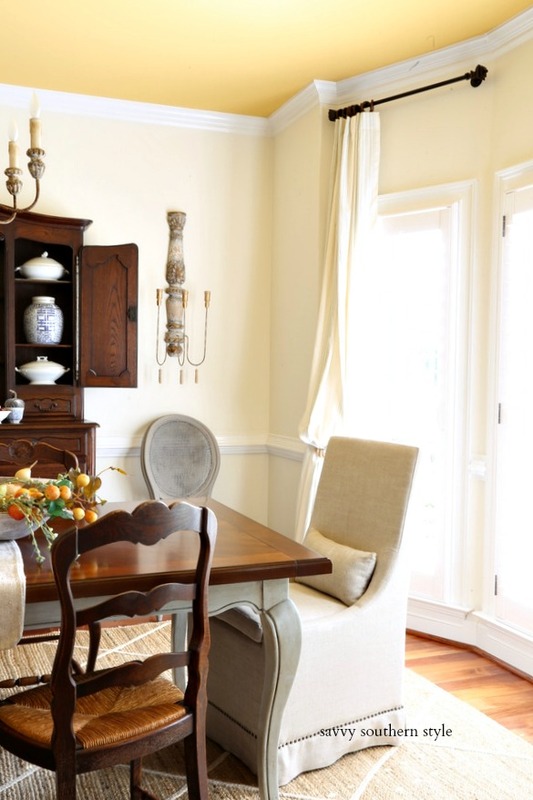 I love your dining room. 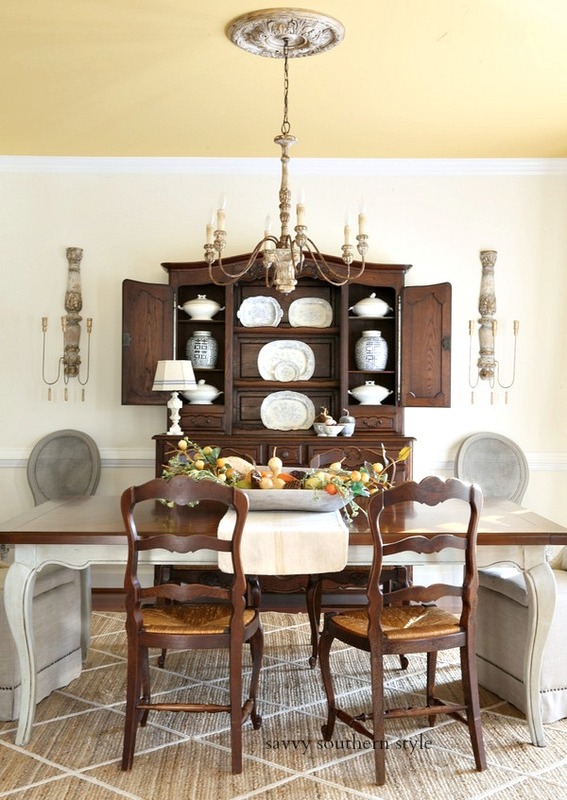 That looks to be an Ethan Allen horse picture?It looks wonderful there. May I ask where you got your table from? The top looks solid and beautiful. Thank you so much, your blog is my favorite. 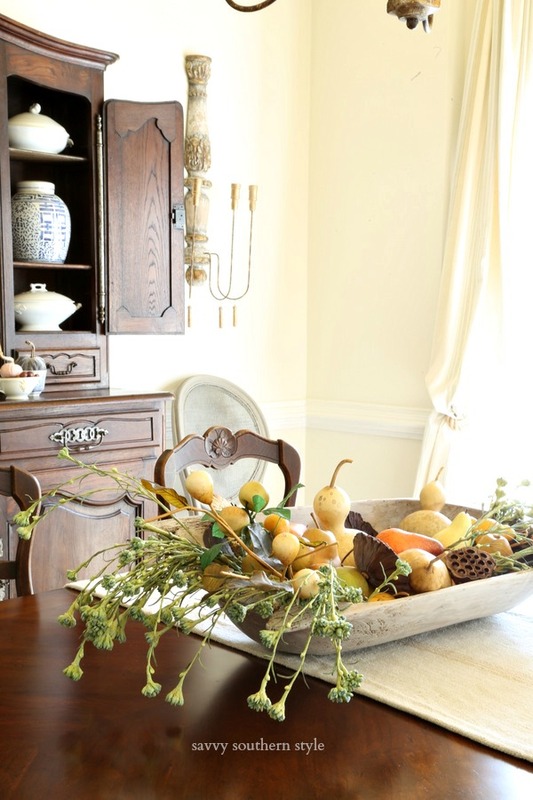 Kim, your dining room looks so pretty with the sign and your fall touches added. Have a wonderful week, I think it will be raining here all week. Glad your Mom is doing better. I have the same problem in m y dining room. My room is SO small:( Love the new chairs and the sign looks nice there. The sign looks great there! I never would have thought of it drying out but that makes sense. So glad your mom is better. Hospital days are long! Glad yo hear your mama is being discharged. Continued prayers and hugs. Sign looks great in it's new home. Love your blue transferwear. I need to get out in the garage and find what box mine are in. Glad to hear about your mom. Your decor is beautiful! Love it all. Love that sign so much. 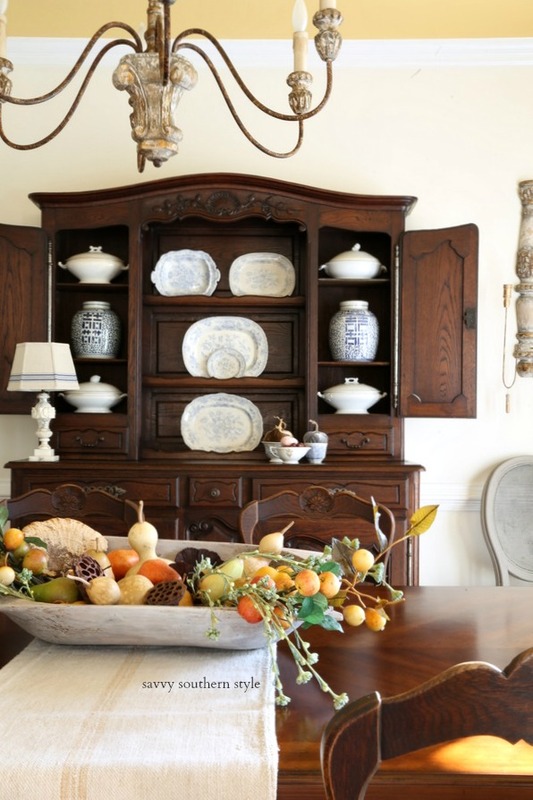 Everything looks so open and fresh for fall in your dining room. Glad your mom is coming home again. 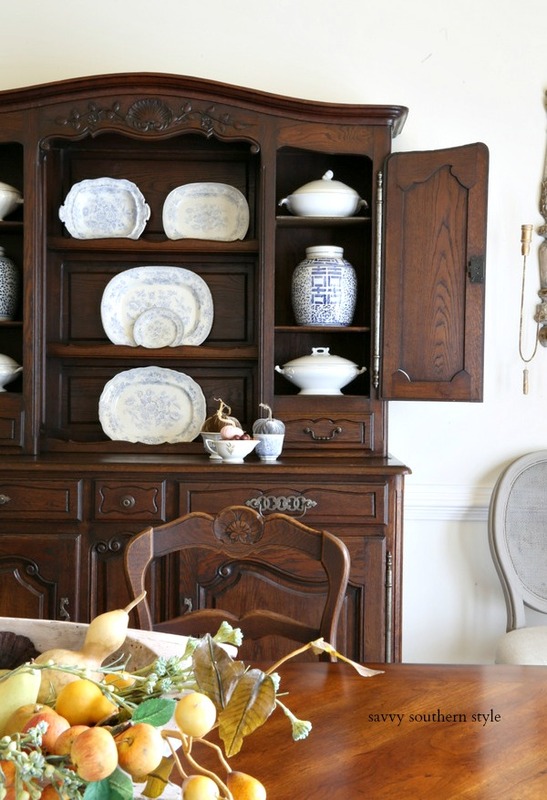 :) Your dining room refresh is lovely and the farmhouse sign moved into the dining room really brings and balances out the dark woods of the table and hutch! Love it!! So pretty. Pleased your mom is doing better. So glad that your mom is doing better. 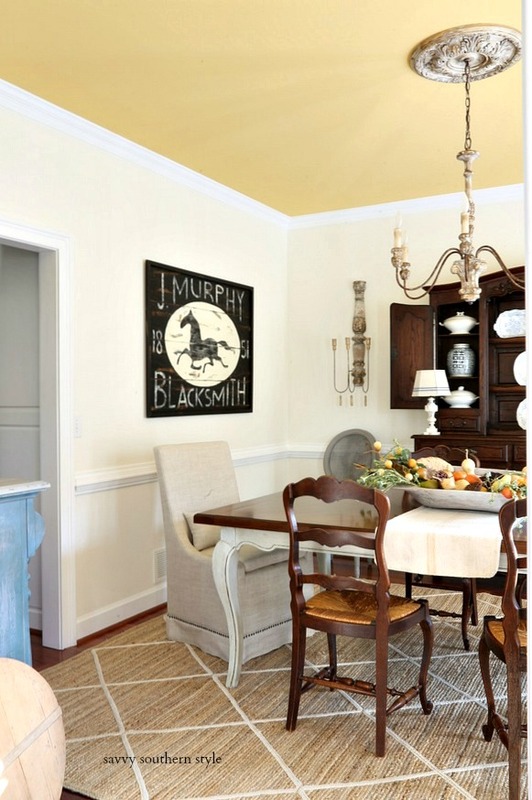 Love the sign in your pretty dining room.